4 Tips To Create The Ultimate Masculine Home Office! Thanks to the enviable trend of a flexible work environment and self-employment, creating a space that is functional, comfortable and appealing is of the upmost importance for a home office. For this design project, the homeowner requested a multi-functional space that combined traditional, masculine style while still being comfortable and inviting. 1. Think Masculine. Rich colored accents, genuine leather and a mix of wood and metals are sure to attain a traditional, masculine style. 2. Personalize. Incorporate personal style by adding in tasteful pieces of sports memorabilia, hobbies or interests. The homeowners' love of Harley Davidson Motorcycles was incorporated by displaying his valued Harley ornament collection and transforming unique Harley Davidson Motorcycle Blueprints into art. 3. Invest in a great chair. Hours upon hours are spent in that chair so do not sacrifice comfort! This genuine leather Pottery Barn chair was worth every dime and will last for years to come. 4. Add pops of color like greens and blues to brighten and soften up the space. You won't mind getting work done in a home office with a thoughtful, livable design that reflects your personal style. Decorative Baskets are great for storage and for providing warmth and texture to any space. Add character and variety to your space by mixing it up! Try mixing pattern and textures, old with new, expensive with inexpensive - all helping to make your home more livable. GroundSwell Design Co is equipped to help you with vacant home staging as well as staging your lived-in home for the sales market. 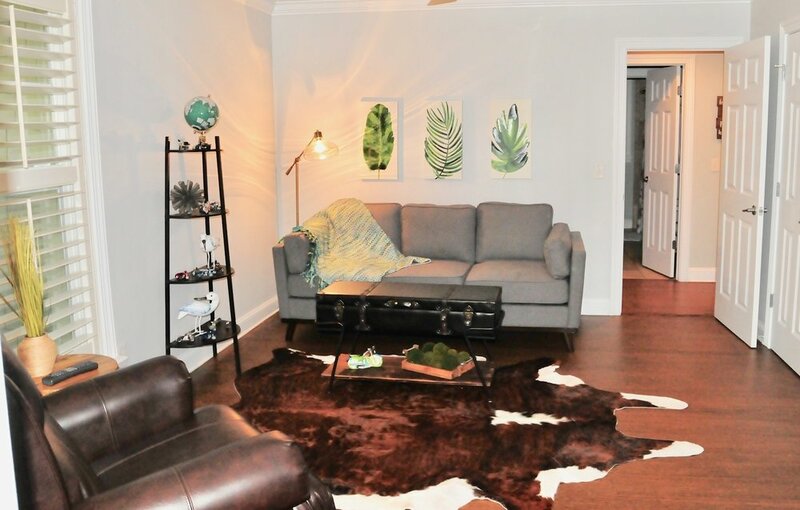 Have you ever left an empty house thinking, "I'm just not sure my sofa would fit and leave enough room for end tables in the living room." Even more common is whether your dining set or bedroom furniture will fit the space. Empty rooms actually appear smaller than they are. Appropriate furnishings provide scale and start the wheels turning for how our own well-loved stuff will fit the home. Most people cannot imagine how a room could look, so a sale is left to their imaginations. Prospective buyers have plenty on their mind when touring your empty home - don't leave furniture arrangement to their imaginations and ultimately sway their decision. 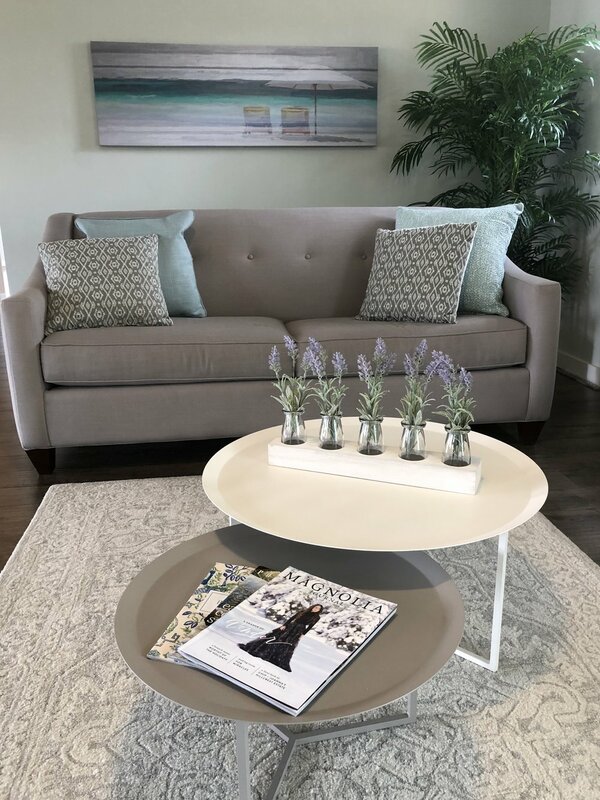 If you are living in your home during the sale process, it is just as beneficial to let GroundSwell Design Co. edit and rearrange your furnishings. 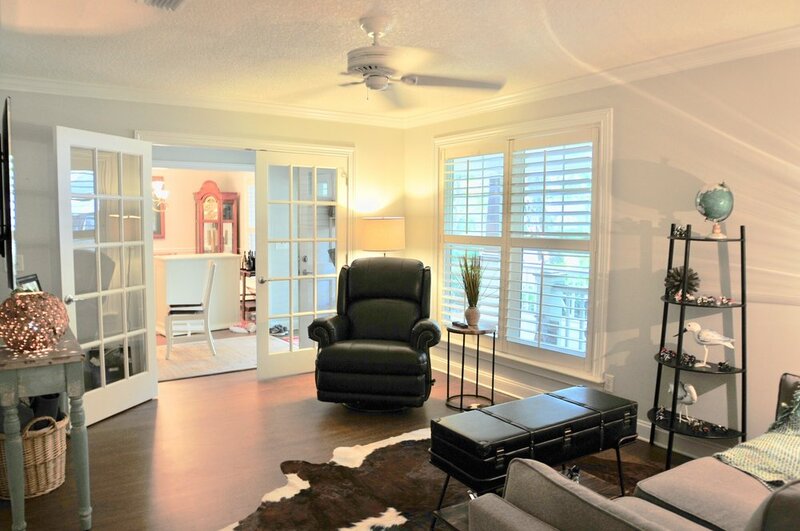 We know a seasoned stager who wisely hired a stager when she and her husband put their home on the market, even though she has been in the staging business herself for the past 25 years. It's extremely difficult and next to impossible to edit your own "stuff," because you love it and think it's all very beautiful and meaningful. However, in order to compete in the buyers market, homes staged to sell must look different than the way you maintain it on a daily basis, even if you are an immaculate homemaker. A survey conducted by Coldwell Banker Real Estate Corp. found that staged homes typically sell 6% ABOVE the asking price and spend HALF the time on the market when compared to unstaged homes. GroundSwell Design Co will use your lovely furnishings to stage the home while you continue to live there, or we will help potential buyers see themselves in your currently empty property. Call us today for a quicker sale at a higher price!